I got a hot tip today from Todd Welsh about the Club Baltimore / The Vanity Room at 8014 Pulaski Hwy, Rosedale, MD. It has been covered for years, but recently renovated, revealing for a fleeting the monitor roof and stainless before it was covered back up again. 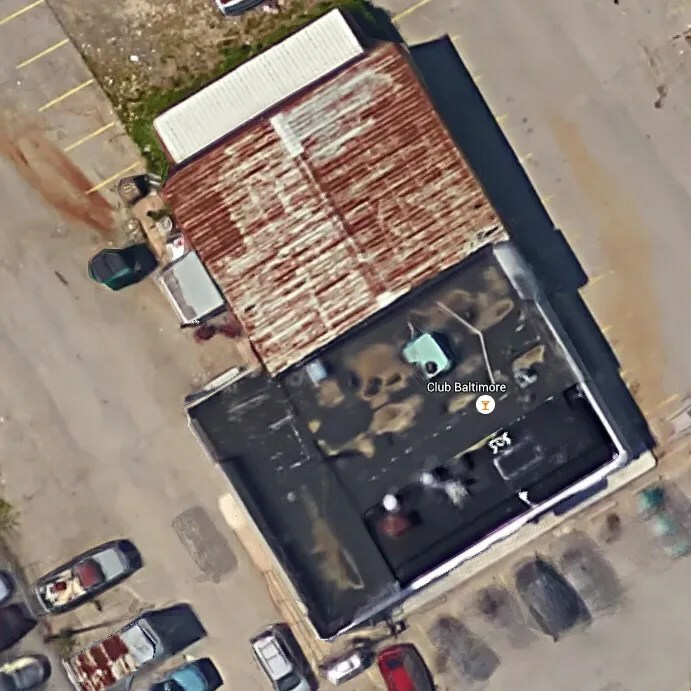 You can make out the monitor roofline in this google maps aerial. Working to figure out what diner this used to be. Unfortunately, the other news that came with this was the closure of Rosedale’s Happy Day Diner, a former Double T.
The Happy Day is the one that had the Elvis on top, If memory serves.